UN REJECTS US’ PROPOSAL TO RECOGNISE JERUSALEM AS ISRAELS’S CAPITAL – PC's Interest! The United Nations General Assembly (UNGA) has overwhelmingly adopted resolution declaring United States of America (USA) recognition of Jerusalem Israel’s capital as ‘null and void. The resolution was moved by Turkey and Yemen and was adopted with 128 countries voting in favour including major political powers such as India, Japan Britain, France, Germany and 9 against it, while 35 abstained from voting. The UNGA resolution stressed that Jerusalem was final status issue to be resolved through negotiations. It demanded that all States comply with UNSC resolutions regarding Jerusalem, and not recognise any actions or measures contrary to those resolutions. Countries voting in favour of resolution also disregarded US President Donald Trump’s threat to cut off financial aid to countries that backed the draft resolution. 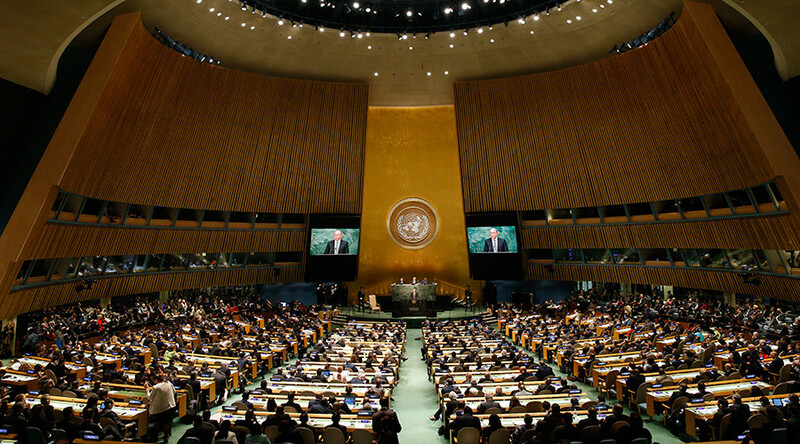 The 9 countries that opposed resolution at UNGA included US along with Israel, Guatemala, Micronesia, Marshall Islands, Nauru, Palau, Honduras and Togo. The nations that abstained from voting include US allies such as Canada, Australia, Mexico, Bhutan, Poland, Czech Republic and Romania. The draft resolution rejecting US move was sent to UNGA after it was vetoed by United States at UN Security Council (UNSC), although all other 14 countries voted in favour. The resolution was drafted following US President Donald Trump’s announcement of shifting US embassy in Israel from Tel Aviv to Jerusalem and officially recognising the ancient disputed city as the capital.